Carr Properties enables our customers to thrive. Every Carr property delivers an immersive, integrated, and interactive experience, going beyond the built environment to include services and tools that enable our customers to get the most out of their time and their office environment. To optimize the workplace experience, we offer our customers the Carr App, a proprietary tool that empowers users to live their day with less stress and more ease. 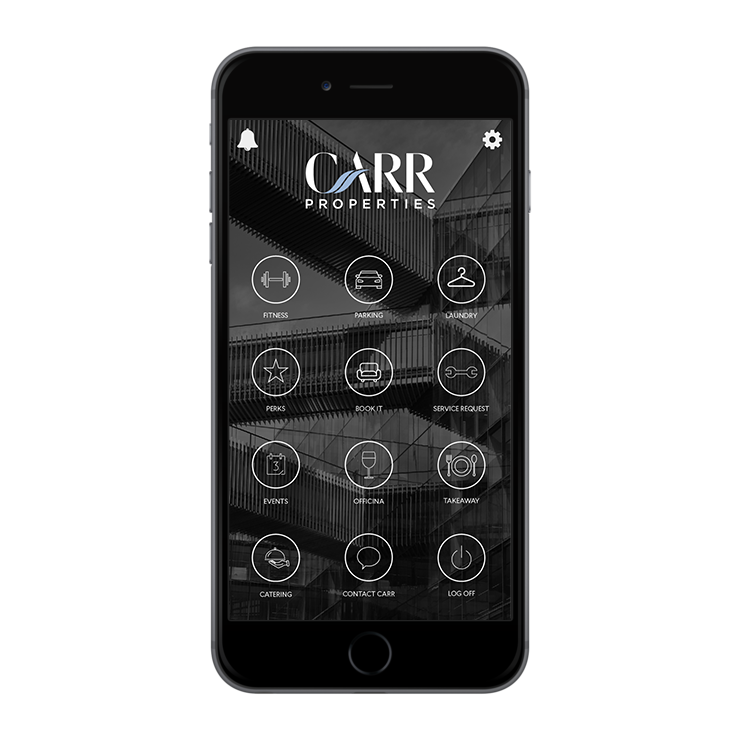 The Carr App is a digital extension of the experience provided at each Carr property, like a personal assistant and office concierge available everywhere, 24/7. Our customers can book conference rooms and services, find exclusive perks at local businesses, and survey their building’s features, amenities, and events effortlessly.